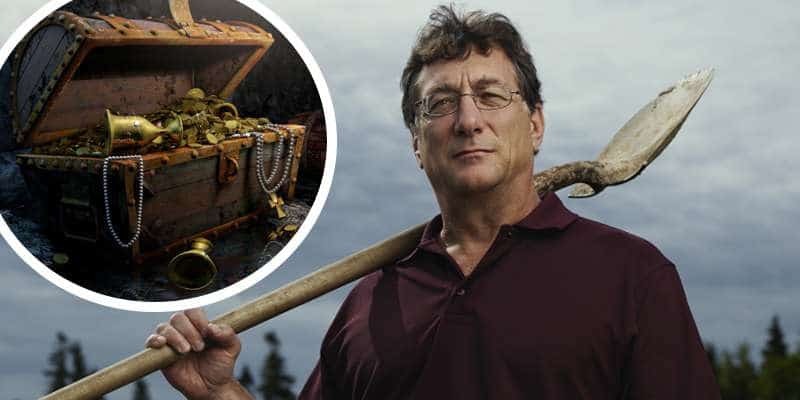 As The Curse of Oak Island Season 5 was finally officially announced yesterday, History also revealed some seriously juicy information — that the new season sees the Lagina brothers uncover a pirate’s chest and keys for three other chests. The network also revealed that Rick and Marty dig deeper than ever before this season, and as well as the chest and set of keys also uncover other as-yet-unannounced artifacts. They also use never-before-used technology on top of their standard heavy drilling equipment as they investigate further into the 160ft deep Money Pit, which was discovered totally by chance by three teenagers back in the late 1700s. Oak Island is said to be the location of buried or hidden treasure and hundreds of people have gone looking for it over the years, including President Franklin Delano Roosevelt, with several losing their lives during their quests. It’s not yet known what state the chest and keys that were found are in, but they are the latest in a growing number of discoveries by the Lagina brothers that point to them being on the verge of a potentially big find. We told last month how a huge new operation is currently under way on Oak Island after truck-loads of heavy equipment were seen being driven on to the island. A whole convoy of flat-bed trucks were seen arriving across the island’s causeway carrying vast amounts of drilling equipment, some of which is the same as was used last season. Photographs then showed filming taking place, and even more equipment arrived — which provided a hint that the Lagina brothers were set to dig deeper than ever this season. The team’s hunt for treasure saw a massive boost this month when The Curse of Oak Island received a huge $1.5million injection of funding from the local Nova Scotia Film and Television Production Incentive Fund. The money — over 50 per cent more than they got for Season 4 — goes towards paying for things like labour and equipment when bought or hired in from the local area. The series first aired back in January 2014, with much of the team’s attention being focused on the famous Money Pit. Other areas of interest have been Borehole 10-x, Nolan’s Cross, Smith’s Cove, the Swamp and the Hatch. At the end of the first season the team uncovered what appeared to be an antique Spanish copper coin, with the team having made several other interesting finds since then including non-indigenous coconut fibres, a rock with scratches on and pieces of wood. Excavations and treasure hunts have been taking place on Oak Island for more than 150 years, with several people having lost their lives during their quests. We told last month how Rick and Marty’s own efforts are set to feature in a new book scheduled to be released in early 2018. It is being written by former Rolling Stone magazine contributing editor Randall Sullivan, who has previously appeared on the show. He has written a string of high-profile books in the past, including three which were nominated for the Pullitzer Prize. Other topics he has written on include the murders of Tupac Shakur and Notorious B.I.G., and Michael Jackson’s death.